I saw 45 of the movies that came out in 2017 and many of them were very good. It made it hard to narrow down my list to my 15 favorites. I was originally going to do a top 15 list but there were really only 5 that I enjoyed enough to see multiple times, and in some cases, purchase the movie. Some of my summaries as to why I liked these movies may be hard to follow because I wanted to avoid spoilers. I thought I was going to hate this movie but I saw it anyway. Just a week before I saw for the first time the cult classic original from 1982 in the theaters. The original definitely shows it’s age. The original is about a cop played by Harrison Ford who’s job it is to hunt down manufactured humans called Replicants that have gone rogue. The Replicants look and act like humans but they work as slaves. The original was supposed to take place in 2019 and it looks nothing like 2019. They have flying cars in the movie that look pretty cool but the technology looks very dated. So this leads us to the sequel Blade Runner 2049. It exist in the alternate universe that is the future of the 2019 featured in the original Blade Runner. It follows “K” who is played by Ryan Gosling. 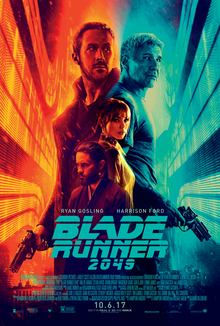 Gosling’s character is a Replicant who’s job it is to hunt down rogues of his kind and either take them in or kill them. You can see the loneliness of his character because his fellow cops don’t accept him because he isn’t ‘human’ and his people hate him because he kills his own kind. He takes refuge in a virtual hologram girlfriend. I don’t want to say too much more other than the story of “K” going from who he was at the beginning of the movie to his journey of finding a greater purpose is really fun to watch. There are so many layers to this film that it benefits from repeat viewings. I am a Star Wars fan mainly because I was a 3 year old boy in 1977 when the original Star Wars movie was released. If I really thought about it I was far more into the toys than I was into the movies themselves. Today I find both the original and the prequel movies hard to sit through. The only one I still enjoy of those six is the original but mainly because of it’s connection to my childhood. What I loved about The Last Jedi, and what has encouraged me to see it 3 times in the theater, is the theme. The theme is failure and how if you allow it to, failure can be a great teacher. The characters in this movie face set back after set back that throws in a little bit of reality into this fantasy series. Some people don’t like that Luke Skywalker is a bitter old man in this but I think it’s perfect. The Luke I grew up with was an idealist who was ready to take on the Empire. I think that connected with a lot of kids because kids have a very innocent idealistic way of looking at the world. Luke in a sense grew up with me. Though I don’t think I am a grumpy old man but as you get older sometimes the disappointments and set backs of life can really change your perspective. 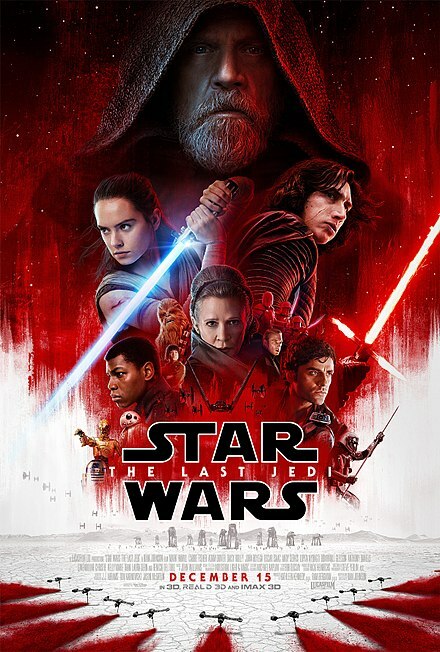 This is my second favorite Star Wars movie after Rogue One. 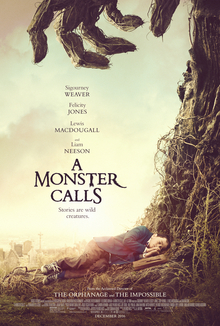 This movie is about a boy who is dealing with the fact that his mom is dying of cancer. In his imagination every night he is visited by this tree monster that looks a lot like Groot from Guardians of the Galaxy. The tree monster tells him stories each night that help the boy work through his emotions. What I love about this movie is, even though it is based on a children’s book, there is a lot for people of all ages to take from this. For anyone who has had strong mixed and confusing emotions that they had to work through, this is a powerful touching movie that really makes you think. If you are like me make sure you have tissues on hand. 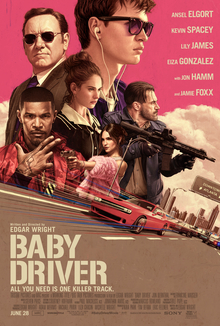 This movie is about a young guy who goes by the name “Baby” and he is a get away driver for bank robbers. I am not a car person and I am definitely not a car movie person. Since I go to the movies almost every week I will many times see movies in genres that I don’t care for. And, as what happened with this movie, I am usually pleasantly surprised when I actually enjoy it. What makes this one stand out is the unique story telling, the style of the movie, and the pacing. Without dipping too far into spoiler territory, what I enjoy is the use of music in this film. The main character, Baby, was in a car accident as a young boy that caused him to have a ringing in his ears. The way he drowns out the sound is he listens to music constantly on his iPod. What he is listening to on the iPod is the soundtrack for the movie. The story is about him trying to get out of a life of crime. This is my second favorite movie of 2017 because I feel everything works so well which makes it easy to do repeat viewings. Not many movies, including my favorites, are easy for me to watch more than once. This movie I believe I have seen 5 times (2 times in the theater). Lady Bird is my favorite movie of 2017. I love the realistic comedy and the rawness of this movie. 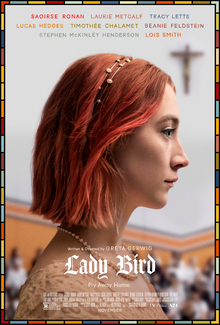 It deals with the main character who insists on being called by her nick name, Lady Bird. It mostly takes place in a Catholic High School in Sacramento where she is a senior. The story focuses on the strained relationship she has with her mom. There is a lot of raw, real life comedy that makes this one fun to watch as you get sucked into her world. What I love about this movie is the real emotions. Once again, I don’t want to spoil this movie but it is fun to watch Lady Bird’s “coming of age” story. There are 2 scenes that got my eyes watering on each viewing of this movie. The first was the Prom scene. So powerful. I won’t say anymore but if you see this movie you will get what I am talking about. The second is when the parents drop Lady Bird off at the airport. Thanks for reading through my list. Also, let me know if you agree or disagree with any of my choices.